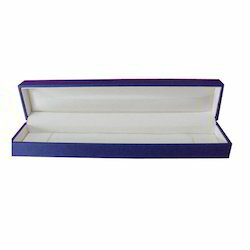 Our product range includes a wide range of plastic jewelry boxes. We are offering a wide range of Plastic Jewelry Boxes. The offered range of product is made up of velvet and some other raw material. These products can also serve as an exclusive gift item and is available in varied patterns and sizes. Looking for Plastic Jewelry Boxes ?